Gustavo González graduated as a teacher of English at I.S.F.D. N° 5 in Pergamino (Argentina) and holds a postgraduate degree from UBA, the National University of Buenos Aires. He also holds a postgraduate diploma in Education and New Technologies from Flacso (Facultad Latinoamericana de Ciencias Sociales) and has completed a course on Neurosciences for Educators at Asociación Educar. He has been in the ELT field since 1993, working as a teacher, school coordinator, teacher trainer and presenter. He has been delivering seminars and workshops all over Argentina, South, Central and North America and Southeast Asia. He is one of the contributors to the book “Imagination, Cognition & Language Acquisition: A Unified Approach to Theory and Practice”, published by the New Jersey City University and has also written some articles for OUP (Oxford University Press), IATEFL (International Association of Teachers of English as a Foreign Language) and other institutions. He is a teacher trainer for the Oxford Teachers’ Academy (OTA) and presenter for Trinity College London. 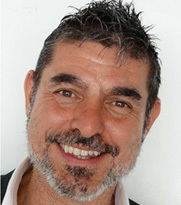 He is a former vice president of APIBA, the Buenos Aires English Teachers’ Association and former vice president of FAAPI, the Argentine Federation of English Teachers’ Associations. Addressing Cultural Diversity in Our Classroom What do we talk about when we talk about “Cultural Diversity”? This talk is an invitation to discuss and reflect upon this question and to address the topic through meaningful and engaging activities to use in class. This is a wake-up call to teachers to become “divers” in the cultural diversity concept. So let’s “dive into” some ideas together on how we can incorporate this topic to our lessons and become aware of the importance of making it consistent all throughout the course.